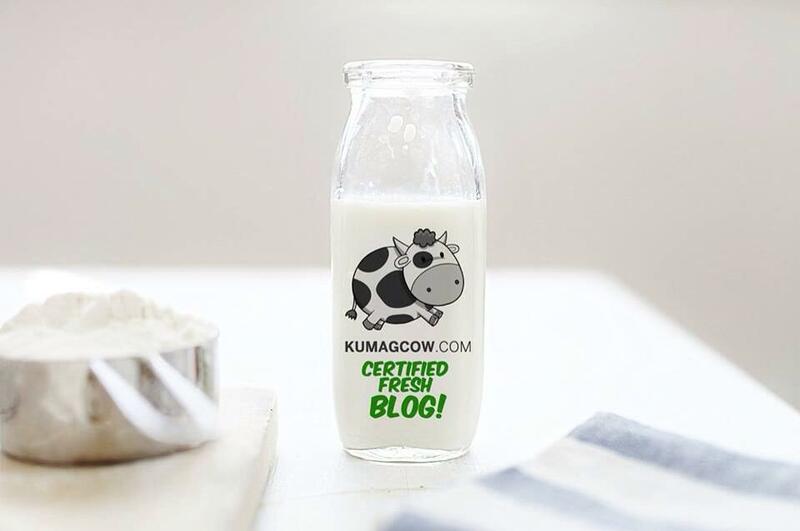 Okay, this is the piece de resistance. We also met Bb. Pilipinas Grand International Nicole Cordoves and Miss Universe Philippines Maxine Medina. Just like you I was a little ecstatic to meet the two. Nicole was actually impressive. She looks very educated, articulate and would probably pass every Question and Answer portion imaginable with ease. She knows how to put thoughts into words, do it like it's just another day at work. She also helps different causes involved in healthcare for kids and women in small communities. If you think you've seen her somewhere before, you probably are right. 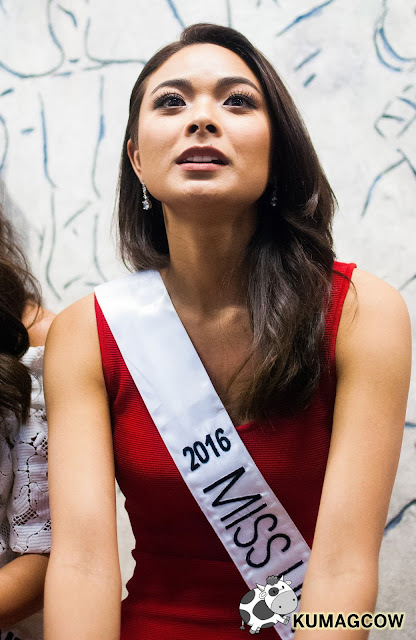 She won Ms. Chinatown 2014 and it was also televised. For those of you who don't know Grand International, it's a pageant based in Las Vegas. 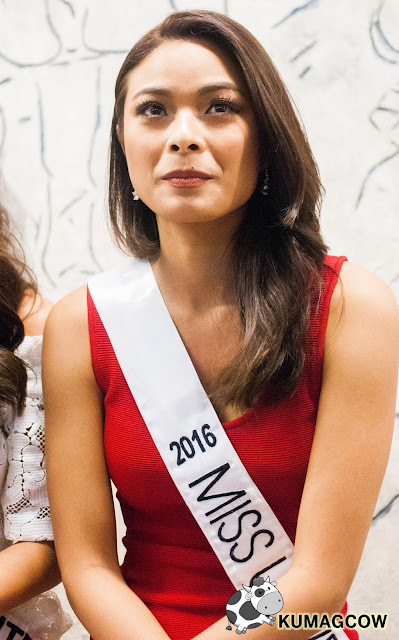 Parul Shah won Third Runner Up last 2014 and the organization is still on its infancy. I could see her win it easily, she needs all our support so give her all you've got come October! Maxine Medina won the Bb. Pilipinas Universe title. She's really gorgeous up close, very Asian looking. She's pleasing to the eyes, I could already tell how she'd fare on print. True enough, she's been modeling for quite a number of years and she's learned a lot from the industry. I like her disposition, she knows she needs to train more in order to make a fair fight this year in Miss Universe. She's got big shoes to fill since we just won it with Pia Wurtzbach, even though I don't think that's going to be fair. I know she's going to do her best, she didn't even know she'd end up as Miss Universe Philippines. It's a tall order but she's doing her homework as early as now. The time we interviewed her, I could sense she was a little nervous, stuttering at times but I could see her friendship and being with Nicole would actually help a lot getting that out of her. She's also undergoing the hard training that Pia had gone through and is ready, hopeful, that we could do it again for the Philippines. She was a little overwhelmed, but here's wishing that we get a back to back Miss Universe crown for 2016! Here are some shots of our lovely Nicole and Maxine! Thank you so much again to Araneta Center for having us and Cream Silk for getting us hooked with these lovely ladies! Hope to do it again very soon! They came pouring in. Third time is a charm and we've got Bb. Pilipinas International Kylie Verzosa and Bb. Pilipinas Intercontinental Jennifer Hammond for an interview. 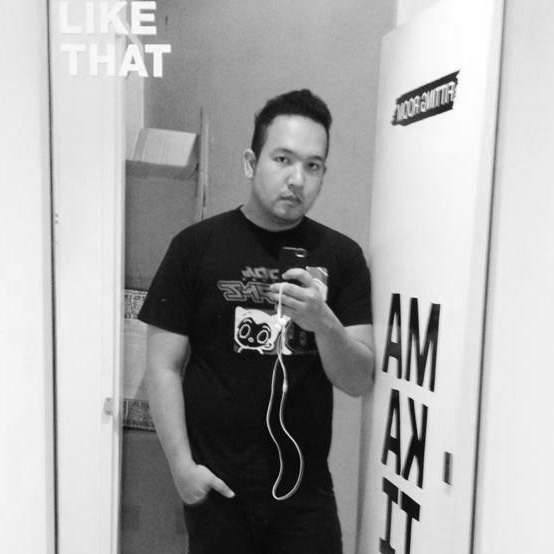 I was sitting at the museum on the 5th floor of Gateway Tower when they came in. They looked absolutely stunning, one looks like supermodel Kimora Lee Simmons and the other that looks like an angel. This is Kylie Verzosa's second time to join Binibining Pilipinas. 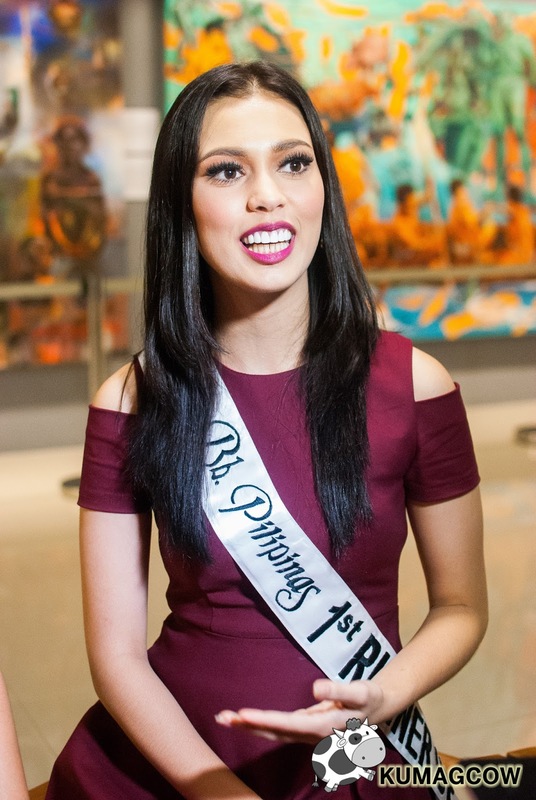 She already placed in the top 15 last year and this year, she took the Binibining Pilipinas International crown and she's going to represent the country in the Miss International Pageant in Tokyo. She'll probably be the crowd favorite as the Japanese are obsessed with pretty doe eyes which she carries like a life like snow white. She's very articulate too, can answer fast, just like you're talking to a friend whom you haven't talked to for a long time. She's going places, and I hope she gets to get the crown and do this for the Philippines. Jennifer Hammond on the other hand was so down to earth, a joy to actually talk to. My first impression was to liken her to Kimora Lee Simmons whom I actually adored during her time. Jennifer is pleasing to the eyes, she could pass off as a newscaster, a host, someone who would entertain as she's a little funny and quirky at times. This and a whole lot of other things may get her to win the coveted Miss Intercontinental crown. She's also a woman of power, grace, commitment, intelligence, style and substance. It's something the pageant was designed for. They want to find beauty in diversity, I think Jennifer has it. Take a look at them during the blogcon. Here's our video interview of these fine ladies! I'd like to say thanks to Kylie and Jennifer for being so nice during our interview. I wish you all the best in your respective pageants, please do the country proud! Thank you also to Araneta Center and Binibining Pilipinas Charities for letting us interview these queens! Wait for the last one with our Miss Universe!! Luck is real. We had the chance to also talk to two more queens, Bb. Pilipinas Supranational Joanna Eden and Bb. 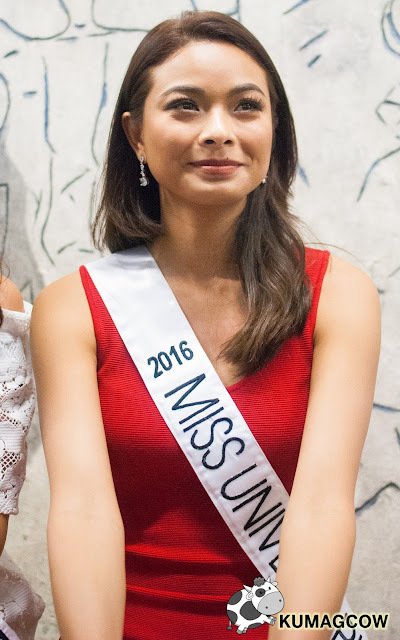 Pilipinas Globe Nichole Manalo. We've already won the Miss Supranational crown and this is going to be a little difficult for Joanna Eden but she takes this in with confidence and plans to win it by training further as this pageant is a little different. She's won Best in Swimsuit in Binibining Pilipinas but was quite surprised by it. The judges she feels must have seen something in her and promises not to disappoint them when her stint comes. Thank you Joanna and Nichole for being so nice during our small talk. I'm sure you'll win your respective crowns. I can't wait for that to happen! Thank you also to Binibining Pilipinas Charities and Araneta Center management who gave us the opportunity to talk to these ladies. Thank you also to Cream Silk for the love they gave for us to take home. 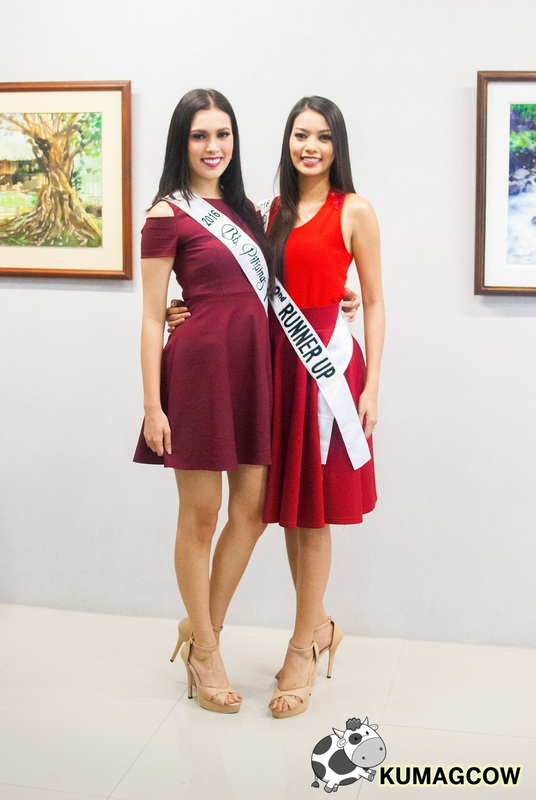 It's almost pageant season again and we were lucky enough to actually interview the Philippines' finest ladies at the Araneta Center. After the Binibining Pilipinas (Ms. Philippines) event, we got hold of the actual winners of the competition so we could get to know them a little better. I thought beauty queens were divas so I wasn't expecting much, but I was surprised how confident but humble they were during our small talk. I am so glad I was able to take a few photos of them during the blogcon. These two in particular, Bb. Pilipinas 1st Runner Up Angelica Alita and 2nd Runner Up Jehza Mae Huelar were a sight to behold. 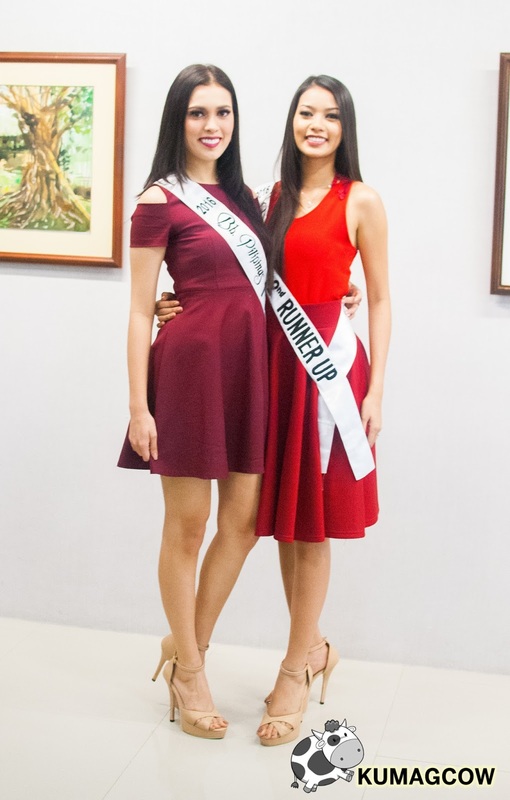 Although they won't be joining official titled beauty pageants, they've been extremely supportive of the other beauty queens and still fulfilled their duties as they also placed in the competition. Among all those girls, they're some of the best, so it's already a feat if you ask me. In our eyes, they're keeping themselves in shape and in perfect form because if ever one of our queens don't feel good or gets in trouble, we have them to represent our country. Mind you, this is very important in our country, because just like Pacquiao, everything stops when they go on stage. Here are some shots during our small interview! I like the part where they still are pushing for their personal causes aside from those that are current. It means that the heed to help is innate, they really want to help in their own way. They also want to inspire future beauty queens and influence people to help them be better people. Thank you so much to Binibining Pilipinas Charities, Araneta Center for having us. Thank you for the opportunity to speak to these ladies who have chosen to keep a part of their lives to represent our country in the most prestigious pageants around the world. Thank you Angelica and Jehza Mae! Thank you also to Cream Silk!